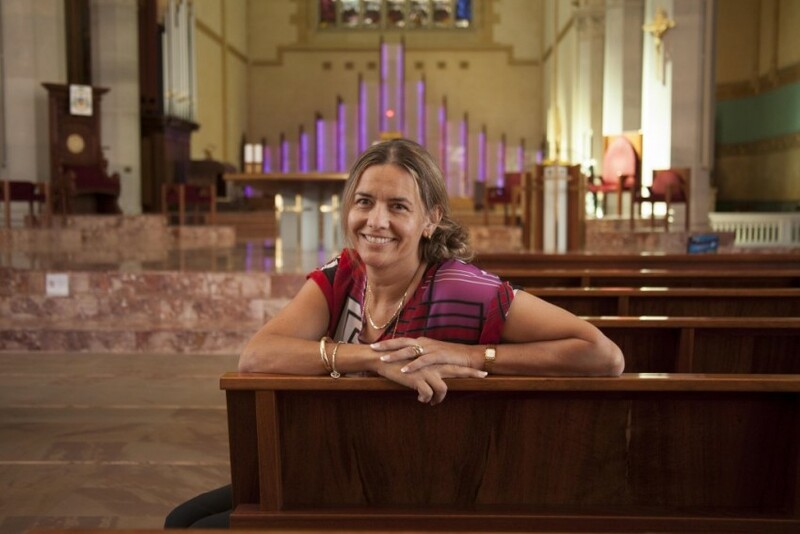 In a two-part series being featured in the e-Record, leader and pioneer in child protection, Andrea Musulin, talks of dramatic changes taking place in the Catholic Archdiocese of Perth to face abuse head on and to minimise future opportunities of its reoccurence. In the midst of ongoing reports about child sexual abuse in the short history of the Australian Catholic Church, the Archdiocese of Perth is breaking new ground nationally. In April 2014, Archbishop Timothy Costelloe spoke to media of establishing Safeguarding Officers in each of the Archdiocese’s parishes. The recent appointment by Archbishop Costelloe of Andrea Musulin, an expert in child protection, is seeing the Catholic community across Perth establish itself as the first diocese to embark upon appointing Safeguarding Officers into every parish. Additionally, it aims to educate children in Catholics schools aged four years and upwards with age-appropriate knowledge about protective behaviours so as to reduce the opportunities for future abuse. Musulin joined the Archdiocese of Perth with a background of 28 years of experience as a police officer specialising in child protection. She has provided services to children in metropolitan, rural and remote areas of Western Australia and has developed the first and only Child Protection Program for Rural and Remote Children. She was inducted into Western Australia’s International Women’s Hall of Fame in 2011, being recognised as a leader and pioneer in the field of child protection. She is also highly experienced in educating children and youth in personal safety and abuse prevention. Discussing her role to date, and her priorities over the coming months, Musulin said things are moving forward. “We are looking carefully at each of the 12 Standards for a Child-Safe Organisation, as laid down by the Royal Commission. “One of the standards we have chosen to take on board is to establish Safeguarding Officers in every parish. Parishes will very soon be receiving a short DVD and pamphlets inviting parishioners to give careful consideration to volunteering to become Safeguarding Officers. “Under my leadership, they will be given the task of taking all of these national standards into the parish and ensuring that they are adhered to. That is the overarching goal of my work. Musulin went on to say that Safeguarding Officers will be trained in all facets of child protection. A policy document will be developed to ensure that standard operational procedures are adhered to, and that Working with Children checks are consistently in place and recorded on an auditable register. “The priority at this time is the establishment of Safeguarding Officers,” she said. “I am not aware of this happening in any other part of the Catholic Church in Australia to this degree, or within any other of the Christian communities. So, it would appear that we are leading the way. She went on to say that the Safeguarding Office is primarily concerned with being proactive to prevent offences from occurring. “That is the best way forward,” she said. Musulin made it clear that this operation would take “some time to roll out” as there are more than 100 parishes in Perth alone. In recent weeks, she has presented two training days to Archdiocesan clergy on the topics of understanding child sexual abuse, safeguarding, and the place of protective behaviours. “The response from Archdiocesan clergy has been overwhelmingly positive, but it takes time for each person to fully understand the need to play his part. Speaking of the practical application of the safeguarding project, Musulin detailed how three very different pilot parishes have been chosen to help drive and guide what safeguarding will look like. These are St Anthony’s in Greenmount, Mater Christi in Yangebup and the two rural parishes of St Mary’s, Bruce Rock and St Mary’s, Merredin. What was also important, Musulin pointed out, is that “Mater Christi has secondary schools feeding into it and I am interested to see how this work will impact secondary students, whereas St Anthony’s has a primary school focus”. “We want to be inclusive of ensuring children aged four to 16 are aware of protective behaviours training whilst protecting children from zero right up to 18. “Yangebup has been chosen because it involves a different religious order to the parish in Greenmount. Bruce Rock does not have a school but is strongly linked with the state school, whereas Merredin does have a Catholic school. On the topic of training Safeguarding Officers, Musulin stated that she will be looking for “people with the right credentials”. “Ideally, those with prior experience dealing with child protection, such as teaching, social welfare, policing, some experience with children and youth, would be beneficial to put up their hands in the first instance. It is not absolutely necessary but we will provide full training and all the necessary support. “We are looking at simple things like how people will identify the Safeguarding Officers in the parish and how do we bring these people to the attention of children. Although I have many of my own ideas, I also want to ensure that the parishes are able to take ownership for this crucial aspect of parish life. “It is a very important area and one that everybody recognises we need to get 100 per cent right. To make this manageable, we are considering breaking down support at a local level into clusters. I will be the overarching officer who mentors and guides all of them.